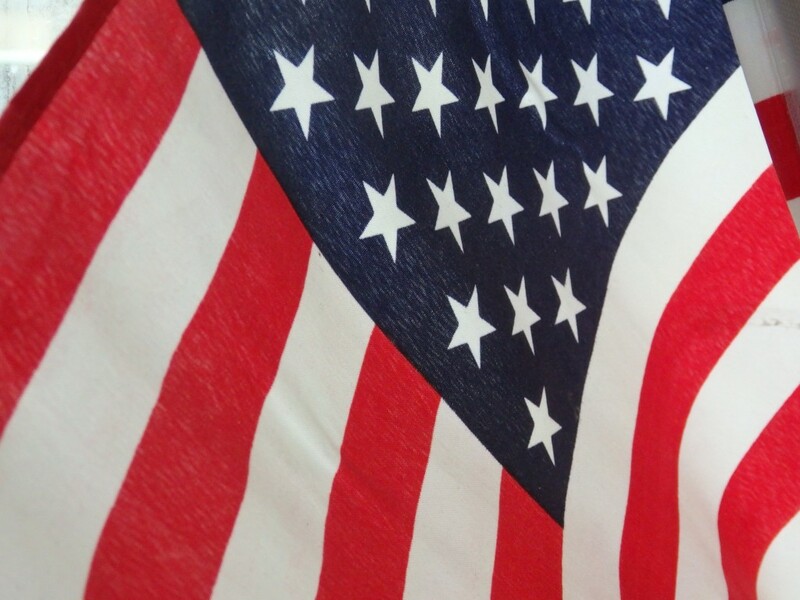 This is the second in a series of posts about American values inspired by my renunciation of American citizenship. Answering these questions has a lot to do with traditional American values that people in the US take for granted, but that are not well-understood outside of the country. 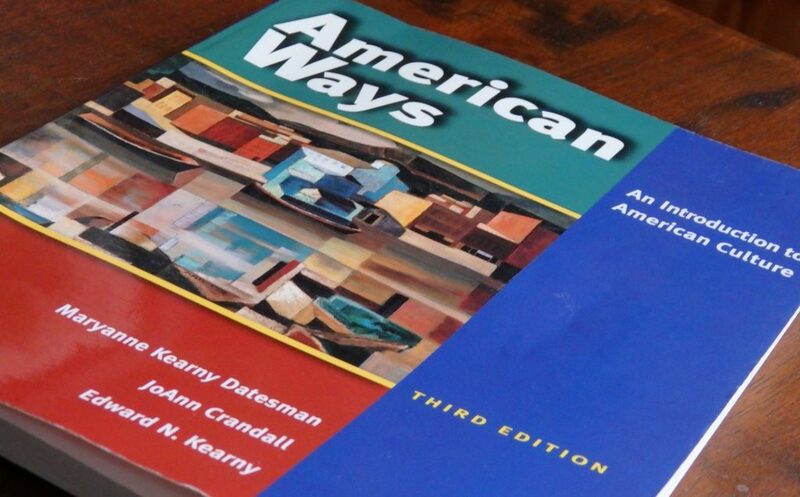 Until this year, I assigned readings in a textbook titled American Ways: An Introduction to American Culture to my adult American Studies students. The book is intended for use inside America in programs aimed at foreign students and in classes for immigrants. The latter three are described in the book as the price to be paid for the first three. In this post, I’ll address the chance for individual freedom and its pairing with self-reliance. I’ll discuss the others in future posts. I tell my students that the idea of individual freedom stems from the early immigrant experience: the Pilgrims, for example, went to North America to be able to practice their own religion freely (Never mind that they didn’t want others to practice other religions!). Many others followed them to America for related reasons: to escape restrictive societies or persecution, for example, or to be able to own their own land. I point out how important the idea of individual freedom was in the years leading up to the American Revolution: the British government prevented the colonists from making their own economic decisions by taxing them without giving them representation and by limiting their options for importing and exporting raw materials and processed goods. I explain the ideas expressed in the Declaration of Independence about “life, liberty and the pursuit of happiness.” In the colonists’ view, pursuit of happiness was dependent on individual freedom. When discussing current issues, such as gun ownership or national health, understanding Americans’ deep belief in individual freedom helps my students begin to understand what to them often seems beyond comprehension. Americans especially value self-reliance, and see it as a requirement to obtain and secure individual freedom. In other words, given their tremendous distrust of government—also stemming from the American Revolution—they expect to be successful through their own efforts. American heroes, generally, have all been self-made men (and, increasingly, women). Traditionally it was the frontiersmen and pioneers who set out on their own and were solely responsible for their own well-being. Later this view was applied to any successful businessman who, through his own efforts, went “from rags to riches.” This partially explains Trump’s supporters. This image—the self-reliant, self-made man—has been extended since the American Revolution to include a distinctly libertarian bent. Not only should people be responsible for their own welfare and prosperity, but the flip side of that idea, in the view of many Americans, is that the government doesn’t have the right to intervene, either to further an individual’s prosperity or to hinder it. This idea helps me explain the general emphasis on low taxes and small government. So how does this have anything to do with me? The fact is that I still subscribe to these values. I cherish my freedom to make my own choices, including my choice to live in the Netherlands and, ultimately, to renounce my US citizenship. Embracing these values hasn’t changed even though I live in a more structured—some Americans would say “socialist”—society. My husband and I have always supported ourselves and our children without expecting the government’s help. I still believe in self-reliance, though my left-leaning tendencies do allow the idea that government can—and should—provide for those who cannot be self-reliant for whatever reason. And I understand that if you accept the existence of a social safety net, taxes have to be higher to pay for it. But these are only quibbles over the degree of freedom and self-reliance we expect, not over their intrinsic value as such. US passports are printed with images of American history and monuments, accompanied by patriotic quotations from famous Americans. Renouncing my citizenship has not changed my values. Indeed, in many ways I am living those values more literally than ever. The US government’s treatment of overseas Americans is unfair and onerous. As I’ve posted before, we are treated as if we are criminals without due process. Our privacy is invaded. By renouncing my citizenship, I feel that I have made the first step toward claiming the individual freedom that American values assure me I have the right to enjoy. Feel free to add comments below. The first post in this series is here. Click here to go to the next article in this series. Brilliant!!! Just absolutely brilliant. I feel the same and am on the brink of renouncing because of the government’s insistence in judging and qualifying my personal finances. We as overseas americans are REQUIRED to file taxes even if the earnings are in no way connected to the US. I expect NO services from the government and resent that they want to keep tabs on me. I live a MUCH more fulfilling life with less thanks to the higher taxes here. Thanks, Howard, and I agree completely! It’s the invasion of privacy that offends me the most. Well done, Rachel! I loved reading how you teach the origins of libertarian values in an effort to foster understanding. We have had similar conversations in other countries with people who don’t really understand, but perhaps would like to even if they disagree. And I absolutely LOVE that you’ve taken the logic and forethought behind those values to demonstrate how your decision is in alignment with them. Very nice job! Thanks, Betsy, that’s high praise coming from you! I’m planning to address the other values in the list above in future posts. I’m constantly aware lately of the irony of my teaching American Studies. But it’s a fascinating topic, and the students think so too! And when you think about it, what’s not to like about that? True! One of my future posts will be about equality of opportunity combined with competition. I’ll be addressing that idea of competition and how Americans view winning and losing as one part of that post. I see this as a continuation of the bully-mentality that has gripped the USA in the recent decade. This also saw corporations become voting persons, restrictions on women’s rights to their own bodies (demoting of women, back to being chattel), voting restrictions, redistricting those, & the allowing the super-pacs to donate to politicians unendingly- ensuring their servitude to a bunch of sociopathic-inheriters of wealth & power that they, themselves, never worked for (mostly, it would be the great-grandparents who might’ve had a spine & compassion who would have started the family-fortune). As with toddler-children, they do NOT appreciate what’s been handed to them & it propels their megalomania & malevolence. I have relinquished & waiting my CLN. I despise the US gov’t right now- & further, I am ashamed that my accent fingers me as such. This FATCA issue has completely blackened any good feelings I had when I first moved from the US. FATCA is an all-out war against US citizens, being undertaken because there’s no way to unionize. IRS & DoT know it. We’re not only sitting ducks for them, but the rhetoric paints us as “treasonous”. Perfect– for the US gov’t. That’s why we’ll not see any real help. The US courts will eventually align behind the sociopathic system & all you can do is renounce. I’m sorry to have to say this to my kids, too. One is high school, the other uni–but already the banks are asking if you’re a US citizen (I assume to deny you banking). I’m disgusted & sad. So much for “patriotism”. It’s all been B.S. Many overseas Americans are feeling the way you do. While I’m angry too, for me it’s more about feeling sad about America’s loss of its idealism ever since 9/11. While I am extremely critical of many politicians, I don’t hate them, and I still love the values on which the country is based. I was not feeling at all patriotic when I moved here 18 years ago, but the process of renouncing seems, ironically, to have restored my patriotism. While 9/11 might have been a tragedy, the truth is that Reagan is to blame for the “trickle-down economics” which has seen corporate greed replace good-paying middle class jobs with NO jobs (for the USA) whilst poisoning other countries environments (no environmental laws so more profit) & paying slave-wages to boot. Then, tax laws are altered to allow for loopholes which secure minimal (or NO) tax owed by the wealthy sociopaths who pull the politicians strings. The wealthy 1% never give back in any reasonable way, preferring to accumulate rather than to spend, with few exceptions. The money given by the US Gov’t to bail-out the crooked banks in the USA nearly toppled the entire world’s economies causing incredible damage that many are still struggling to repair, and yet, there was little repercussion for the banks. One analyst remarked that had the same money been handed out to every citizen, each would have received $40,000 (every, man, woman, & child) and that money would have been (unlike the 1%) SPENT back into the economy & there would have been an immediate boost with no downside. But, instead, the banks were helped & the American people were left jobless and/or bankrupted. The US gov’t did that deliberately. That, is my view on politicians. The vast majority absolutely deserve the scorn they get & I consider them traitors. It is for this reason, I believe, that FATCA is being implemented– to find a new source of revenue since the middle-class is now gone, the gov’t/wealthy 1%/banks/corporations have to find a new way to accumulate ever more wealth- and FATCA is it! I’m also disgusted that the world’s countries decided to “roll-over-Rover” for the USA on FATCA instead of uniting & telling the IRS to piss-off. It’s ruined my respect for my own adopted country now, too, for being willing to expose me, a citizen here, to rules that my fellow citizens would be protected from. I’m encouraging my children to renounce. US citizens will have no place in the world except in their own, private gulag, the USA- and if Trump is elected, they’ll even get the walls like Berlin. Yet behind your anger at the politicians is a belief in many of the same values, especially equality and individual freedom. That corporate greed you criticize (and so do I) is just an extension of those values, i.e. individual freedom and, in this case, material wealth. You could say that’s the difference between the left and the right in the US; the left is more willing to look at limitations on those values while the right sees no limit. I agree with your disappointment with my adopted country’s willing cooperation with FATCA. As far as I saw, the signing of the IGA didn’t even get reported in the news, i,e. no controversy at all. The US is the bully in the playground. Rachel, It is always a great pleasure to receive your “Ruminations” and I’ve been meaning to write you for some time to say as much, and thank you especially for your thoughtful articles about renouncing U.S. citizenship. I returned to San Miguel de Allende in central Mexico in September, from my 5 months of wanderings in Europe (where we met at TBEX Costa Brava in May), to receive my Permanant Residency after 4 years of temporary residency. I am grateful that Mexico is so welcoming to US (and Canadian) citizens, unlike the treatment they receive from the U.S. Here I have full medical coverage for free under the national program Seguro Popular (unlike my friends in the US who are forced to buy expensive high-deductible insurance policies or be fined), and excellent medical and dental care is available here for a fraction of the cost up north, in addition to being able to buy medicines directly from a pharmacy without a prescription. Like you – and many of us who are living outside the U.S. – I see and distain the bullying policies of the U.S. in regards to FACTA compliance for every bank in the world, the IRS requirements for citizens to pay taxes even if you earn no money in the states, and the ever-increasing power to limit personal freedoms. Add to this the $19 Trillion debt and the power of The Fed, and I marvel at how much my fellow citizens are willing to tolerate. For me, the breaking point was the bank bailouts in Oct. 2008 when Congress voted to transfer the irresponsible gambling of commercial banks (which they created through deregulation) and transfer their debt to the American people. While millions, like me, lost their businesses and had their homes foreclosed – so these same banks could put the numbers back on their books for shareholders to see. (BTW, my beautiful home in Santa Fe – which I designed and physically built, creating the asset – sits empty, not even for sale). This was a criminal act and all the irresponsible bankers behind it, now richer than ever, have gone unpunished. With money as the greatest value – and lack of it the greatest fear – Americans are held hostage by their own government… and most don’t even have a clue. I know it was a difficult and deeply-considered decision for you to renounce your citizenship, and it speaks to how far the U.S. has strayed in its principles, so that people like you (and me) no longer want to be part of a country in which we grew up and of which we were so proud. Again, thank you for sharing your thoughts and process regarding this. And bravo for being so brave! I think Thomas Jefferson would be proud of you. Thank you for being so supportive! The only thing I disagree with is when you say that I don’t want to be part of the US. I would prefer to stay a citizen and work on influencing the system towards rational policy. But I didn’t feel that I could: I felt persecuted, unwanted, and powerless in a way I never felt when I lived there. It’s shameful how many patriotic, loyal citizens are being pushed into renouncing. I’m sorry that I was not clear, because I agree with you. It is not a question of “not wanting to be,” but rather, for me, feeling it is impossible to affect positive, compassionate, human-centered change within the existing systems. Thank you for clarifying! Yes, that’s it exactly! Will you also renounce once you get Mexican citizenship? Wow Rachel, a great approche to the problem we US expats are facing. My parents met in Paris in the early sixtees (my father was in the US army and my dutch mother was fille au pair). So I was conceived in Paris but my parents quickly got maried in Haaksbergen NL and moved back to the States. So, unfortunetly (amazing to say that being american)I was born in one of the States protected by the US constitution that the federal corporate gouvernment in Facshington (not Washington anymore) has completely over run. The suprise I got when I received a FATCA letter from my bank in october 2014 made me so furious I felt like blowing up the US embassy in Paris !!! Especially when you know that what they’re doing is completely illegal. After watching the Thrive movie on You Tube and especially Aron Russo’s “America : from freedom to fascism” I began to militate against the US federal gouvernment and the IRS on social media while discovering the plans of the corporate federal sytem created in december 1913 to rule the USA and now the world. FATCA is only just a branch of this World Company empire. With the IMF they want to put us so deep in debt that they’ll own us. They almost succeded in the 2008 crisis but the coming one(wich has allredy begun) is going to be 100 times worst and they know it. FATCA will definetly not be enogh to save the corrupt system, so now they’ve come up with overall legal robery on all our bank deposits. That’s where we stand now. Fasten your seatbelts and by gold coins to protect your savings, 2016 is going to be a very rough ride. I don’t want to get in a whole argument with you about this, but I decided to approve your comment anyway because I think your story is typical of “accidental Americans.” What I don’t agree with is your conclusion that it’s an intentional conspiracy. I don’t think the world’s governments–in this case the US and Europe–are anywhere near organized enough to carry out the kind of long-term plan you assume. And if you’re talking about governments trying to grab people’s money, FATCA is a very inefficient way to do it because it won’t end up making very much, in my view, once they nab the ones who were originally intended: American residents who hide money overseas. Idk, Rachel…reading those links provided doesn’t give me a “warm & fuzzy feeling” about how things are headed, either. As far as your stance that the gov’ts aren’t “up to” such an elaborate plan- part of the plan could be to present chaos out front, whilst those dedicated to such a plan can do their work unencumbered & “behind the scenes”, so to speak. NSA has been data gathering, illegally, for years. Major tech companies have been, too- & storing it all for the NSA…that’s now a very well known fact. And with FATCA/the IGA’s– we all see them as clearly unconstitutional, yet here we are. The USA extorting via monetary, world-wide threat that other countries give up data which their own countries policies say is illegal? Thus the USA is applying their laws supremecy over the laws of all other countries. Btw, what’s to stop the USA upping the penalties when they don’t see enough income from this “plan”? Not $2350, but how about $10,000 to renounce? Not the already outrageous (& retro-active) $10,000 per penalty, but $50,000 per? There’s absolutely NO recourse if they do! I’m generally NOT a conspiracy-theorist, but so far what’s been happening is frightening to me…so much so, I’m advising my children to renounce. I would never have seen this coming. All good points. I still don’t make the jump from these events to the idea of a conspiracy, but we agree that things are getting worse, not better! My son will renounce once he turns 18 in June. My daughter, meanwhile, is studying in the US, so her tax forms suddenly got simpler and less intrusive when she moved there! If she takes a job back here after graduation, she’ll renounce too. I hope the fee hasn’t gone up by then! A great book to help decipher the differences between other countries and the United States is a book called “Why We Think Like Canadians” by Pierre Berton. It is a series of letters from the author, a famous Canadian historian and writer, to an American named Sam, explaining the differences between the two countries. He argues America’s values are derived from this fight for individual freedom while Canada’s values are derived from the inherited European values of doing what’s right first. I highly recommend it for you, your students, or any interested reader. A short, easy read. Yes, that makes sense: the US rejected Europe through its revolution, while Canada preserved its European connections. Thanks for the book recommendation!